The PMP Training coordinators listen patiently, and says something like: “Yes, you can read the PMBOK guide. But that alone may not be sufficient. What you need is a thorough understanding of the Project Management Methodology. And you also need to understand what PMI like to test you on in the PMP exam. Just reading the PMBOK guide, and understanding “how it applies to the PMP exam” are very different things“. You need to be in an “exam taking mode” when you study the PMBOK guide. Added to this, reading the PMBOK guide is not easy. 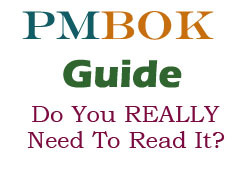 It is very dry, boring, and difficult to read after a couple of pages… No wonder it is called the best “sleeping pill” by many PMP aspirants… When you begin reading the PMBOK guide, everything seems pretty simple, and easy to understand. But remember, the exam is not as straight forward as it may seem. You need to have a step-by-step, proper study plan for the PMP exam. The PMP Exam’s passing score in 2016 and 2017 has been quite bad. 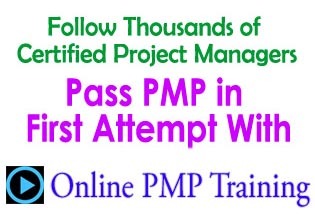 Less than 50% of the people who give the PMP exam are able to pass in their first attempt. This means that the majority of them fail the PMP exam in their first attempt. Why is this so? How come people with years of experience managing projects not able to clear it easily? Limited experience in handling large scale projects – which would have required you to do extensive planning, communications, risk management, quality management, and monitoring & controlling. Not taking the exam seriously. Fortunately, if you treat “passing the PMP exam” as a project, and plan for it systematically, study regularly, and check your progress against mock PMP papers, you can do well, and it is not an impossible task anymore! Do you need to memorize the ITTOs for the PMP exam? Creating a Study Plan for your PMP examination preparations. Let me know how your preparation for the PMP exam is going on? If you need any help, or have any questions, you can contact me, or post your questions on the PMChamp PMP Forum. Help! 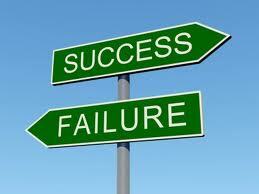 I Failed The PMP Exam Today… WHY? That’s a great post!. I just passed the PMP recently (August of 2011) on my first attempt. I have to say that a focused approach like you suggest is the only way to ensure success. I was inspired by my journey for the PMP to create a blog about my experience. I think that more articles like yours here would be helpful as a lot of information out there points people to “Quick Fix” solutions for obtaining the PMP. I really admire your focused and concise approach. I am very disturb because i failed the 2nd times for the PMP exam. First time failed on 22nd May 2012 and 2nd time on 16th August 2012.
first time was unable to finish on time and questions were to elaborative and lenghty. 2nd times was good and on time. understand and well failed again. should i try the 3rd time or give up. i think i am not good enough.